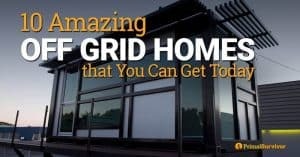 The grid has gone down and you have no heat! 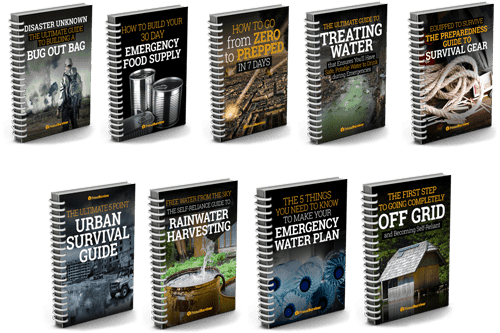 Luckily, there is the internet with loads of information about how to make a survival heater. The internet isn’t exactly going to be working when the grid is down, so hopefully you put these DIY emergency heater designs to memory now before you need them! Just put a roll of toilet paper into a tin can. Pour the alcohol over the toilet paper so it is just saturated. Then light the alcohol on fire. The alcohol is the fuel and the toilet paper is like a wick in a candle. The emergency heater can burn for over an hour and does a good job of heating the air. Because only the alcohol on top is on fire (where it touches the air), the bottom of the can stays cool. You will need a few of these to heat a room. You’ve probably seen this design for an emergency heater before. It is really genius and can be used as supplemental heating in non-emergency situations too. Put the tea lights on the metal pan. Light them. Put the grill rack on top of the pan. The idea behind this emergency heater is that the smaller pot works as a convector to gather the heat from the tea lights, and the larger pot acts as a radiator. The only real problem with the tea light-flower pot heater is that the tray can get really hot. You could try setting your tea lights on bricks instead and propping the ceramic pots up with more bricks. Or, you can put in a little bit more effort and make the design shown in the video. There are a bunch of ways to make rocket stoves. 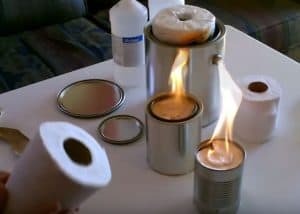 You can even make small ones out of coffee cans to use for off-grid cooking. If you want to heat with a rocket stove though, you will need to have something much larger. An old propane tank or beer keg will work great. 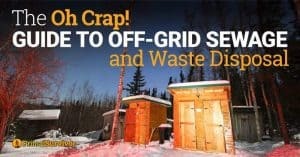 The problem with this is that you’ve got to be able to cut the metal tanks – and how are you going to do that in an emergency situation when the grid is down? That is why I like this rocket stove design which is made from a 5 gallon bucket. Note that, when using rocket stoves inside, you have to have an exhaust (like your chimney). You can always rig up an exhaust out your window, but then you will need to seal it off to prevent cold air from getting inside. The quality on this video is bad, but the guy does a great job of explaining how to build a rocket stove. 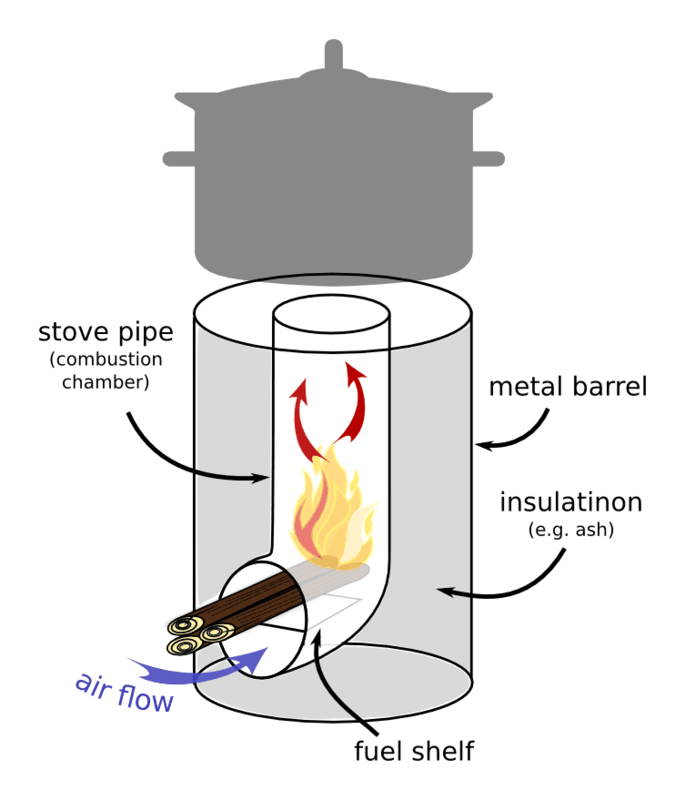 And here is a picture illustrating how a rocket stove works. 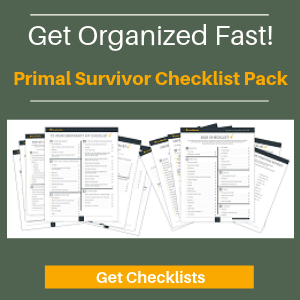 If you don’t have the time to make one they are also available on Amazon – see here. So, you’ve got a rocket stove, wood burning stove, or a fireplace… Now you need something to burn. Before you start hacking up your furniture for fuel, you should consider making paper logs. First you drill some holes in the bucket. Then you basically just mix paper and water in a big bucket to make a paper pulp. Put something heavy on the pulp to drain the water out. When it dries, you will have a big briquette made out of paper. It will burn for hours. This project is more intensive, and not something you will probably need to rely on for short-term grid outages. 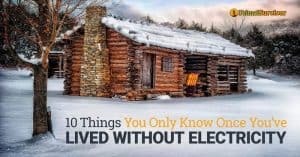 But, if you have a Bug Out retreat like a cabin, this is a project worth considering. The idea is to make a wall out of the tin cans. Cold air is drawn out of the home and goes through a heating panel (which is the columns of cans). The heated air is then returned to the home. For this to work, you obviously have to put them where there is a lot of sunlight. Install it in the room which has the most direct sunlight. Watch the video for the full instructions. Or you can find written instructions here. Have you every tried making any of these DIY heaters? Let us know in the comments below. You have some great articles, but can you make them printer-friendly? I would like save some of them in a binder I have. Thank you! I second Mildred’s request. I copy and paste articles into another program to print but what a great idea to have them easily printed off in a binder. We are looking onto a printing option at the moment. Which of these options, of any, could be safe indoors long term? We live up north with no way to install a wood burning stove or anything similar in case power goes out in the winter. What would you recommend to keep at least one room warm without risking carbon monoxide poisoning? I have used both the tea lights and terracotta pots and the toilet paper and 70% alcohol. My high school students were amazed at the amount of heat both can provide. I’ve also shown them how to use cotton balls and Vaseline to make fire starters. The pot and tea candles are a hand warmer. Unless you are in a very small closet they are not capable of much heat. It is all about Btu’s and those tea candles are not capable of generating many. The pots only spread the heat out a bit. They will not make it any hotter then what the candles can generate. Do no depend on this for any sort of life saving heat. As I said, it is a hand warmer. I’ve got the paint can/TP set up ready to go, one in each vehicle in case of a vehicle break down in cold temps, and two in the house. I also stock denatured alcohol as fuel in place of the rubbing alcohol… I feel it burns cleaner. By sectioning off the rest of the house from our open living room and kitchen with a pair of light-blocking curtains on an expansion rod, the two heaters can keep the space we occupy during a power outage very warm. If used in a vehicle, I’ll section off the front of the vehicle from the back with the tarp in my BOB, for the same reason, to heat a smaller area and conserve fuel. I also keep two metal pie tins in each vehicle to put the cans on to make a sturdier base and so the cans won’t melt the vehicle’s carpet/seat material. I’ve never been able to generate anywhere near enough heat with the terra cotta pot & tea candles… I understand others have, but it’s not for me. Last point… any time you’re using a fire-based heat source, be it propane, LP, gas, candles, kerosene, wood stove, etc you absolutely, positively MUST ventilate the area. 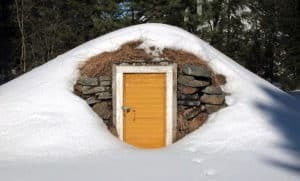 You don’t have to throw open the front door, but do crack a window about 1/2″ while the heat source is running, fire EATS oxygen, so oxygen must be replaced in quantity. Nice setup you got going there TX. The terracotta pot method is a strange one, some swear by it but many say it is not effective. The only way to confirm is to try this method out before a situation occurs and then plan accordingly.